In this blog post we continue reporting on our 10 year anniversary survey of projects Classrooms for Africa has been involved in funding. Here we feature the Tirrim Schools - (Nomadic Nursery, Primary and High School) in the remote town of Korr, North Eastern Kenya. The Tirrim Schools are an outreach of the Africa Inland Church, seeking to provide education based on a Christian worldview for children of the Rendille tribe, a semi-nomadic group who migrated south from Ethiopia many years ago. The area they live in is remote, semi-desert and subject to heat and wind storms. In 2008 Tirrim school leaders applied to Classrooms for Africa for help to fund a permanent cement structure in which to house the many nursery school students. These young students had no building in which to attend classes in a protected environment. They gathered for school under the thorn trees. Although building in this remote area has many challenges because all building supplies have to be trucked in from Nairobi and structures need to be of steel and cement because of the climate, Classrooms for Africa donors provided funds for the construction of a large multipurpose hall for the Tirrim Nomadic Nursery Schoool. The large structure serves as classrooms, gathering place and weekly health clinic. In 2011 a wing of three classrooms was added to the building together with office, storage space and toilets. In 2013 a four-classroom block was built to help house students at the related Tirrim Primary School. Today the Tirrim Schools offers education from Nursery through the high school grades and enrols 648 students. Currently the high school is in desperate need of classrooms for their students (see here for more information about this project). 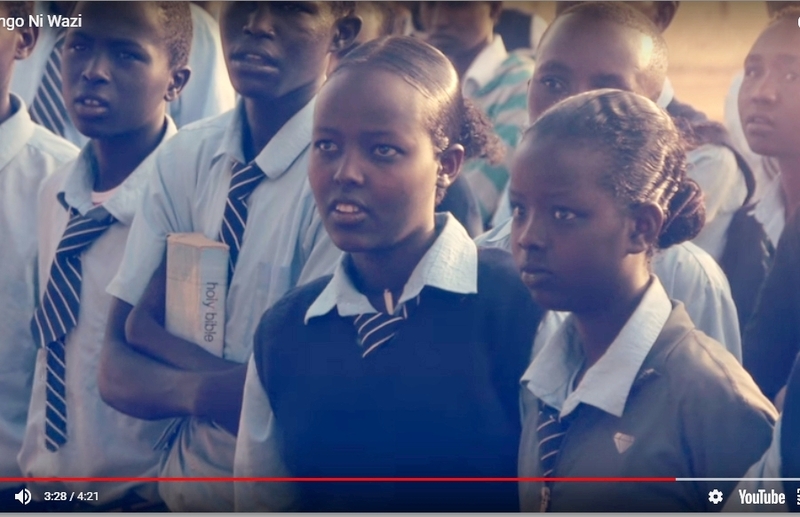 NOTE: Tirrim schools have given several girls a second chance to come back after early pregnancy and going against some cultural practices like FGM. New Beginnings for the 2019 School Year! And the results are . . . . . . .
™Classrooms for Africa (and design) and the stylized African continent are trademarks of Classrooms for Africa Association.